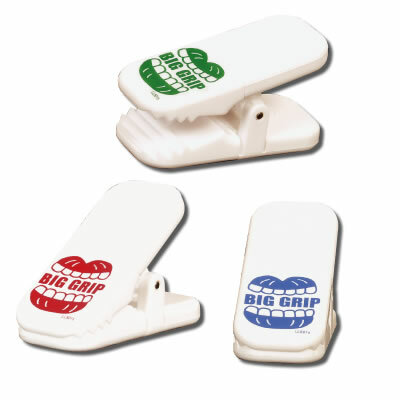 White Heavy Duty Clip with strong magnet, that attaches to filing cabinets or any metal surface. The Big Grip Clip needs to be tried to be believed. Extra colour prints available at extra cost. Special colours ex China factory, Standard Colours 5000 up, PMS Colour Match 10,000 up.